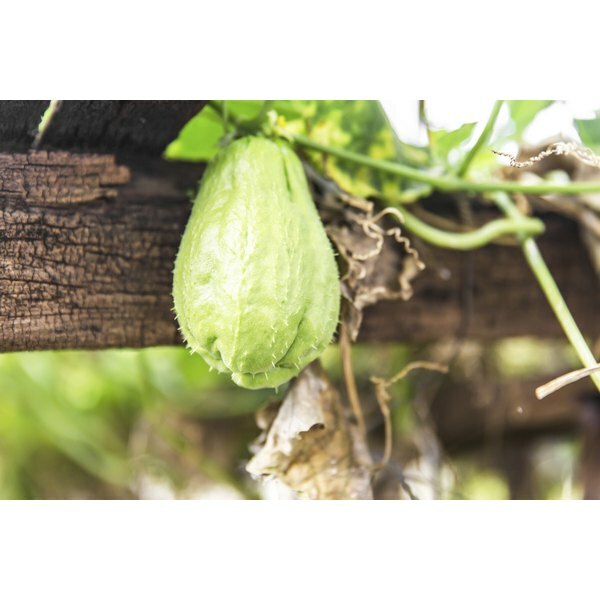 Chayote squash in the garden. Chayote squash, or chayote fruit, is a small, yellowish-green squash that tastes similar to zucchini or summer squash. The squash is readily available in most areas of the country. Like other members of the summer squash family, chayote is a good source of vitamin C. However, chayote is higher in folate than most of the other varieties. 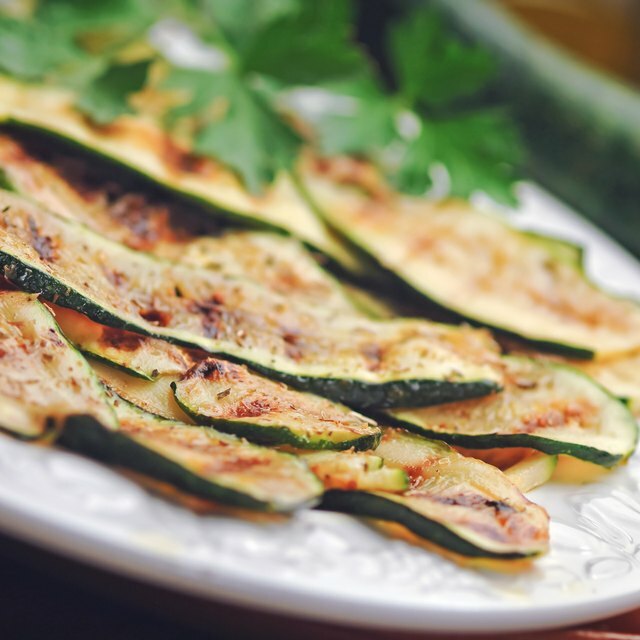 Grill chayote squash to add an additional layer of smoky flavor to the sweet flesh. Preheat the grill to medium, or 350 degrees Fahrenheit. Rinse 2 chayote squash under cool water. Peel the squash with a vegetable peeler and cut off the stem and 1/2 inch off the bottom. Cut the squash into 1/2-inch-thick slices. Brush the chayote slices with 2 tablespoons of olive oil. Season them with salt or steak seasoning to taste. Place the chayote slices on the grill and cook them for 10 to 15 minutes, turning once halfway through the cooking time. Take the chayote slices off the grill and serve them hot as a savory side dish.